We have a great choice of sim plans for you to choose from at the moment. It all depend on your needs. You may be on a budget and looking for the cheapest plan? You may be looking for sim only deals with unlimited data? Maybe you go abroad quite a bit and need sim offers with data roaming? If you are the type of person who is constantly chatting on your mobile phone you may be looking for unlimited minutes? Our cheapest plan is provided by Plusnet. With this plan you receive 250 minutes, 500 texts and 500MB data. International roaming is included in 40 European destinations. With Smart Cap there is no need to worry about getting a bigger bill than you expected. Incredibly, for only 25p a month more, our second cheapest sim only deal includes unlimited minutes and texts. Along with 1GB data, this is a 1 month plan so you are not tied in to a long contract. At £6.25 a month this offer is available from Smarty. We have a great choice of 30 day and 12 month plans if you are looking for sim deals for £10 and under. In fact there are currently only 6 of those sim only plans that do not include unlimited minutes and texts. Check Out This Amazing Plan! Most people don’t need to look any further than our next offer. 3 Mobile currently offer 8GB data, unlimited minutes and texts for an amazing £10 a month! This amazing deal includes Go Roam. You can use your full allowance in 71 international destinations. With your personal hotspot, you can use your data allowance for streaming. Please note, this offer does not include Go Binge which is included in all 3 plans with 12GB data and above. This offer is so good that 3 are not advertising it on the official website yet. 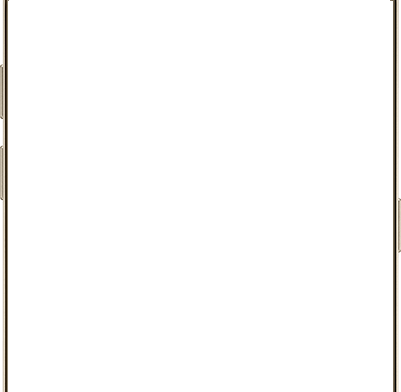 If you click the image below, we will show you where it is hidden. The best value 1 month deal from Smarty is £10 which also includes 4GB data. There is even more good news if you don’t use up all of your monthly allowance. There are currently 3 networks who offer sim only deals with unlimited data – Three Mobile, Smarty and GiffGaff. The problem with GiffGaff is that they limit your download speeds quite dramatically after you have used 20GB of data. Three Mobile currently offer sim only deals with unlimited data. For £24 a month you get unlimited data, texts and minutes. The unlimited data sim only plan from Three Mobile includes international roaming in 72 worldwide destinations. Tethering is also allowed and you can receive free travel upgrades with Easy Jet. For £2 a month cheaper you could try a 1 month plan from Smarty which also includes unlimited internet, minutes and texts. Either way, you are sure to make some serious use of your mobile phone with these plans. Special Offer! With Smarty’s unlimited data plan if you sign up of 1 month, you will receive your second month for free! At first, you may think what is so special about this plan? After all. 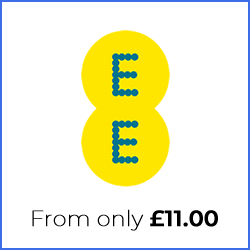 Both Three and EE offer unlimited minutes, texts and 40GB data for the same price! What makes this deal stand out from the crowd are the added extras. The Red Entertainment plan from Vodafone offers so much more. You can choose from a full 12 month free subscription to either Sky Sports Mobile TV, Spotify, Now TV or Prime Video. When you take off the cost of a 12 month subscription to one of these streaming services, this plan provides excellent value for money. It also includes 500 minutes to call abroad, as well as global roaming in 152 worldwide destinations. You may be considering a different deal with 40GB, 50GB, 60GB or even 80GB of inclusive data? Stop Right there! These 100GB sim only plans are actually cheaper! 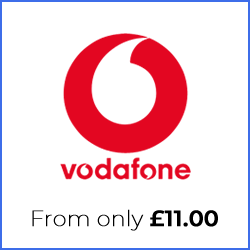 With Vodafone Red Extra you can receive 100GB of data for only £20 month. This offer includes Vodafone Global Roaming. Alternatively, Three MobileThree Mobile offer a similar plan for £21 a month where you can use you data allowance as a personal hotspot. Go Roam around the world is also included – That’s 71 international destinations. With Go Binge, when you use Netflix, Apple Music or Snapchat, it doesn’t even come out of your data allowance! Surprisingly, none of the big networks offer sim only plans with 1GB that include unlimited minutes and texts. Our overall cheapest sim only plan from Smarty includes unlimited minutes, texts and 1GB data on a 30 day plan. As we have already displayed that offer, here are the alternatives. 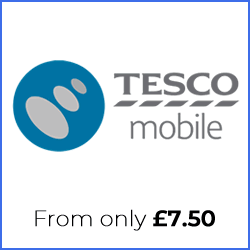 With 500 minutes, 1GB data and 5000 Tesco Mobile offer this plan for £7.50 per month. 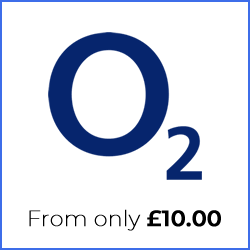 Powered by the O2 network, with over 5 million customers they are still growing. Tesco Mobile are the Which recommended provider for the last 8 years. For £9 a month you can receive 600 minutes, 1GB data and unlimited texts from 3 mobile. This includes international roaming in 72 destinations and a personal hotspot. Our cheapest plan with 2GB inclusive data is from Smarty. This is a 1 month plan that includes unlimited minutes and texts. If you want to use your mobile phone in Europe that is included too. If you do occasionally run out of data you can add 4GB of data for £5 and this data never expires as long as you are still a customer. Plusnet also offer the same on a 12 month contract with unlimited minutes, texts and 2GB for £7.50 a month. Again the best offer goes to Smarty. You can get 4GB data, unlimited minutes and texts for £10 a month. If you do not use all your data you are given a credit of £1.25 per gigabyte off your next month. The next best offer is from 3 Mobile and £1 more. It includes all of the above deal from Smarty but on a 12 month contract. The difference is that it includes many more inclusive destinations for when you travel abroad. To recap you get unlimited minutes, texts and 4GB data for £11 a month. We think that sim card deals with 8GB data are just right for the majority of people. Now we have already shown the below offer but here it is again. Looking above you will see the best offer for 4GB is £10 a month. This offer from 3 Mobile is £10 a month with 8GB data! With your personal hotspot and Go Roam, you can use your data allowance for streaming. 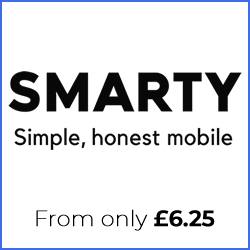 Smarty also offer unlimited minutes, 8GB data and unlimited texts for only £15 on a 1 month plan. Don’t forget that you gain £1.25 credit for every 1GB you don’t use. Welcome to Yibyab – Sim comparison with a difference. We compare the best sim only deals in the UK. With over 50 different sim plans advertised, we are sure that we can help find the best sim deal that suits your needs. 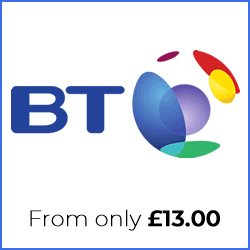 Whether you are looking for a 12 month or 30 day sim contract, we have them all. The best sim only deals start from as little as £6 a month. Most people will usually have something in mind when searching online for the cheapest sim only deals. Many sim card deals now already include unlimited minutes and unlimited texts. In fact some of the best contract sim cards that include unlimited minutes and texts start from as little as £7.50 a month. The deal breaker may be the amount of monthly data you need for the cheapest price? For every pay monthly sim card that we advertise, we will show you alternative plans that you may also like. This way you can be sure that you find the cheapest sim only deals based on your preferences. If you see a sim deal you like, click on it and we will provide the full details for each and every sim deal that we advertise. This will include full details of the network and everything extra that is included in your sim only plan. Which Mobile Network Should I Choose? We compare the best sim plans from all the big networks including Three, O2, Vodafone and EE. With our sim only comparison, we also compare many of the other networks too. This includes Plusnet, Tesco, GiffGaff, BT, VOXI and Smarty. Many of the big networks will occasionally offer you special discounts or added extras to entice you to sign up to one of their sim only deals. This could be anything from a large monthly discount, free subscription to mobile streaming services or even rewards cards. The other mobile networks may instead offer you some of the cheapest sim only deals on the market. They may occasionally have special offers to entice you to sign up with them. We advise you to look out for the special offers and if you cannot find one that suits you, then simply wait for the right one to one along. In the meantime you could even settle for a 30 day sim to keep you going. 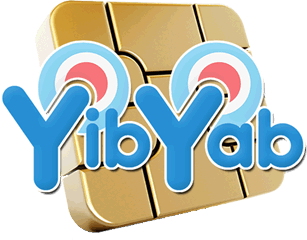 Saying that, we are confident you will always find some of the best sim only deals with Yibyab. We have to say that mobile phones just keep getting better and better. Come on admit it, you are spending more time on your phone than you have ever done before. With some many apps and games to choose from, you soon find that your current sim contract is running short of data just too quickly! Why spend each month keeping an eye on your data usage when there are so many fantastic sim only plan with unlimited internet? We offer sim only deals with unlimited data which allows you to stream your favorite videos and upload all of those photos you just love to show off on social media without worrying about going over your data limit. Some people also like to turn their mobile phones into a wifi hotspot. Some network providers will allow you to tether your phone so you can share your mobile connection with other devices within your home. Please note: Always check with your network provider to make sure they allow tethering with any sim plans before you sign up with them. Sim only deals are a cheaper alternative that allow you to continue using your mobile. Just like a phone contract, you still have your minutes, texts and data in your plan. The main difference is that it can be a much cheaper option. The length you are tied in to your contract is generally a lot shorter. Sim contracts are perfect for people who have come to the end of their mobile contract but want to keep using their phone. Alternatively, you may have bought a handset outright, as a cheaper option to a lengthy 2 year contract. With a sim card plan you have the option to choose either a 30 day plan or a one year sim only contract. When a new mobile phone is introduced, generally it is the time when it is the most expensive to buy. This reflects on the monthly cost of your mobile phone contract.